President Obama can be assured that his wife is in good company tonight as he takes the stage for the State of the Union address. Science fair superstar Jack Andraka, who took the grand prize at the 2012 Intel International Science Fair (ISEF) has been chosen by the White House to sit in the First Lady's box during tonight's address. 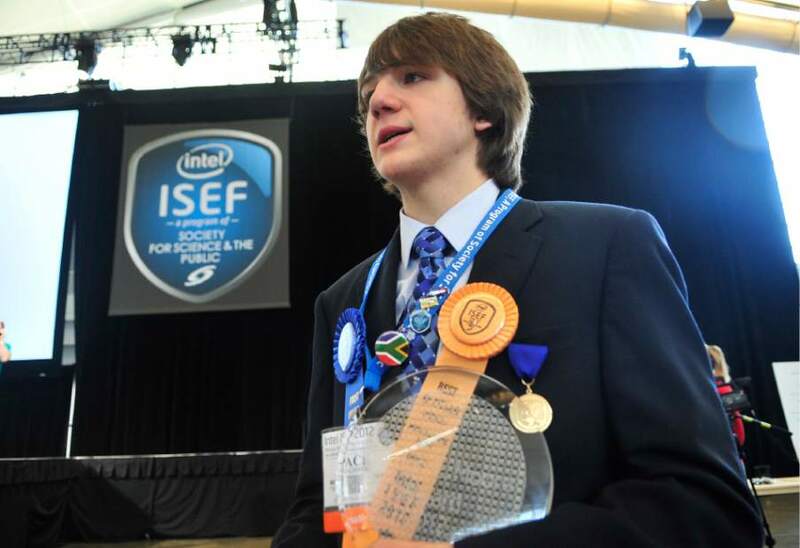 A Broadcom MASTERS semi-finalist in 2011, Jack -- a Maryland resident -- gained widespread acclaim following ISEF 2012 when news of his new method for detecting pancreatic cancer made international headlines. The Massachusetts State Science & Engineering Fair has sent numerous students to ISEF over the years, including top winners. In 65 countries, 15-year-old girls performed better than their male peers on a science test given by the Organization for Economic Cooperation and Development. In the United States, however, boys outperformed girls. What's the disconnect in America? Researchers think that stereotypes may have something to do with it. “We see that very early in childhood — around age 4 — gender roles in occupations appear to be formed,” said Christianne Corbett, co-author of the 2010 report, Why So Few? Women in Science, Technology, Engineering and Math. “Women are less likely to go into science careers, although they are clearly capable of succeeding.” Countries like Asia and the Middle East, where a higher percentage of women go into the sciences, don't seem to have the same cultural forces at play. Two Massachusetts High School Students Make Finals of Intel Science Talent Search 2013! Two Massachusetts high school students made it into the finals of the Intel Science Talent Search 2013! A program of Society for Science & the Public, the talent search will culminate in an awards ceremony in March, where the 40 finalists -- chosen from a field of more than 1,700 entrants -- will compete for $63,000 in awards. The top winner will receive $100,000 from the Intel Foundation. Created by the Lemelson-MIT Program, the InvenTeam initiative provides opportunities for high school students to cultivate their creativity, curiosity, and problem-solving abilities and apply lessons from science, technology, engineering, and math (STEM) subjects to invent technological solutions to real-world problems. 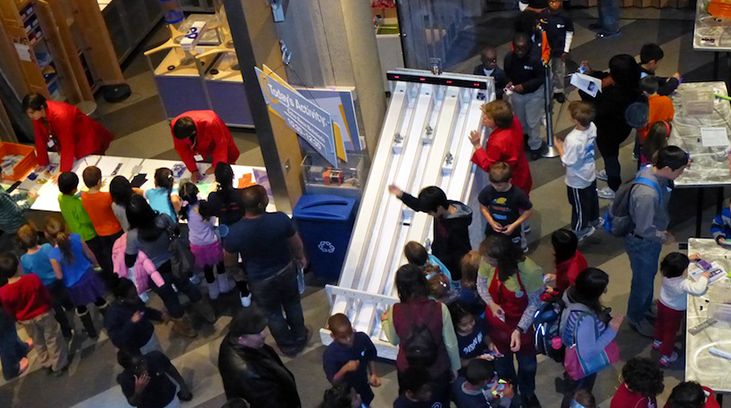 InvenTeams comprised of high school students, teachers, and mentors receive grants of up to $10,000 to invent technological solutions to a problem of their choice. Projects can range from assistive devices to environmental technologies and consumer goods. Applicants are encouraged to consider the needs of the world's poorest people (those earning $2 or less a day) when brainstorming ideas. State Highlights Report Gives Massachusetts a "B"
Massachusetts earned an overall grade of B (score of 84.1) in the Quality Counts 2012 State Highlights Report -- placing the state second only to Maryland, which achieved a B+ (87.5). The national average was C+ (76.9). Key areas measured include adult outcomes, school accountability, school finance, and college readiness. Get the State Highlights Report here. Congratulations to the semifinalists in the 2013 Intel Science Talent Search (Intel STS)! The nations's most prestigious pre-college science competition, Intel STS is a program of Society for Science & the Public (SSP). "Together with Intel, we congratulate these exceptional students, look forward to watching their future progress, and commend the mentors, teachers, schools, parents, and communities that have contributed to theis success," said SSP President Elizabeth Marincola. Thanks to longtime sponsor Genzyme, MSSEF is grateful to be one of the organizations profiled in Boston Business Journal's 2013 Giving Guide. All of the organizations profiled in the guide were sponsored by a company with a complementary mission. Since 1999, Genzyme has provided the top prize awarded at MSSEF's High School Fair. The award is now $10,000 plus a paid internship (valued at about $2500) to the winning student plus $15,000 to the student's teacher and school. Thank you Genzyme! Janice Kaliski took her experience as an outstanding volunteer judge for MSSEF back to her home state of New Hampshire to help establish the New Hampshire Science & Engineering Exposition (NHSEE). NHSEE advances science education in NH through the New Hampshire Science and Engineering Exposition and by collaboration with businesses, with communities, and state colleges and universities.